Beyond the Groove Yard emphasizes a continuum of music stretching from Congo Square to the present, with many offshoots and tributaries. Focusing on the early modern jazz of the LP era allows us to look back to the origins and forward to newer developments, and to see them as part of the continuum. The program features portraits of individual musicians whose voices were captured by the greater recording capacity of the LP. And there are occasional explorations of themes and influences, ranging from Afro-Caribbean and global aspects to spiritual and gospel roots—designed to show the richness and vitality of the continuum. George Klein grew up in Philadelphia, attended San Diego State College and the University of Oregon, and taught English and humanities at Eastern Michigan University in Ypsilanti and Wayne State University in Detroit. All the while he was listening to jazz and collecting records. George’s entry point into jazz was at the peak of the LP era in the late 50′s and early 60′s, especially with independent labels such as Blue Note, Prestige, Atlantic, Riverside, Savoy and Pacific Jazz. The first jazz radio to get his attention was WHAT-FM in Philly. To balance his academic life, George joined WEMU in 1982 and hosted several different programs in addition to live broadcasts of the Montreux-Detroit Jazz Festival and other music events in southeast Michigan. By the mid-80′s he moved to an administrative position at Eastern Michigan as director of the Study Abroad office, but he remained committed to jazz radio. For 25 years—from 1989 until he left WEMU in 2014—George was the volunteer host of The Groove Yard, a program focusing on early modern jazz of the 1950s & 60s. Beyond the Groove Yard began life on taintradio in November 2014 and explores early modern jazz and related music. 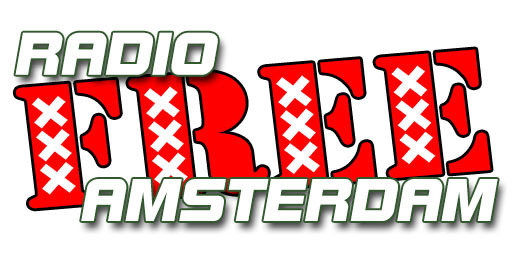 Contributing the program series to Radio Free Amsterdam beginning January 2, 2015 will present this vital music to a wider range of listeners. This music lives.